Make Your Halloween Pumpkin a Masterpiece! Pumpkin painting is the perfect choice for your Halloween crafting, leaving you with cute DIY fall decor that can last deep into November. On top of being super fun, painting pumpkins is definitely less messy than carving them! Need some inspiration for how to paint your pumpkins? Look no further, we have compiled some of the best pumpkins for this lovely and spooky season. You can draw some great inspiration from Dia de Los Muertos sugarskulls. The tradition originates from Mexico where surgar is abundant. The friars taught how to make sugar art for their religious festivals. Want to learn more? Read more about the history here! Made by the ever-great Martha Stewart team. Want something that's spooky but chic? Check out these ombré spiderwebs that capture the Halloween spirit in a creepy but stylish way! Here at CraftJam we're all about Halloween puns. We make pumpkin painting an opportunity to show off our love for ghosts and boos! We love these brightly colored gourds! These are decorations that we would keep throughout fall (and maybe even longer if mother nature allows it). The simple geometric pattern and a skillfully made ombré create a beautiful pairing. Brighten up your room with flowers. This floral pattern will bring good vibes to any home. Are you in denial of summer ending? 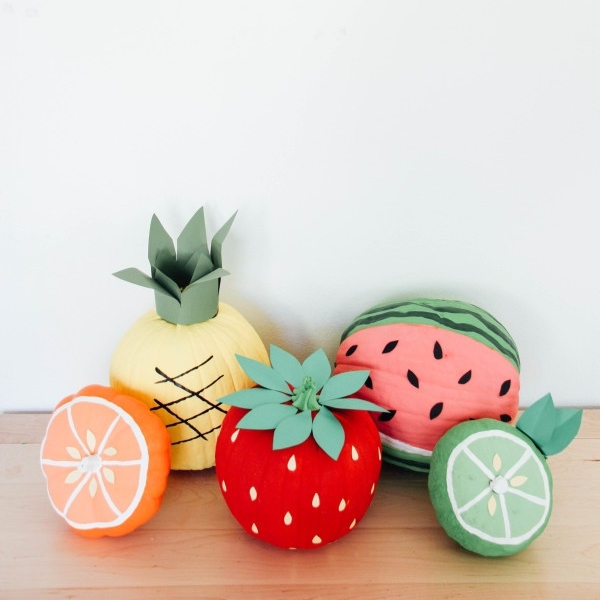 Create summer fruit inspired pumpkins as an act of rebellion! After all, pumpkins are to fall what pineapples are to summer. Are you inspired yet? 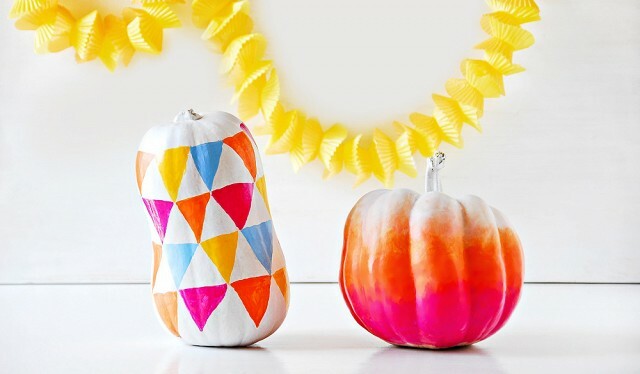 Come to one of our Pumpkin Painting CraftJams and take home some cute pumpkins with you! We have all the supplies to help you make your pumpkins top notch, and an experienced JamMaster will help you to create your masterpiece.